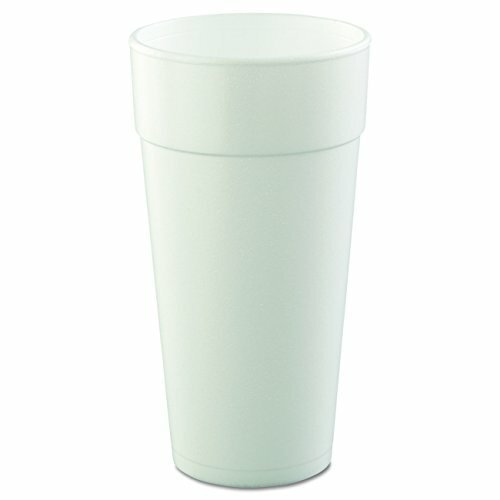 Dart 20J16-1 20J16 3.7" Top & 2.4"
Maintain beverages at their optimal temperature longer with dart insulated foam cups. Not only do foam cups keep beverages at their proper serving temperature on the inside, they also keep hands comfortable on the outside. Hot or cold, insulated foam delivers drinks the way they were meant to be. 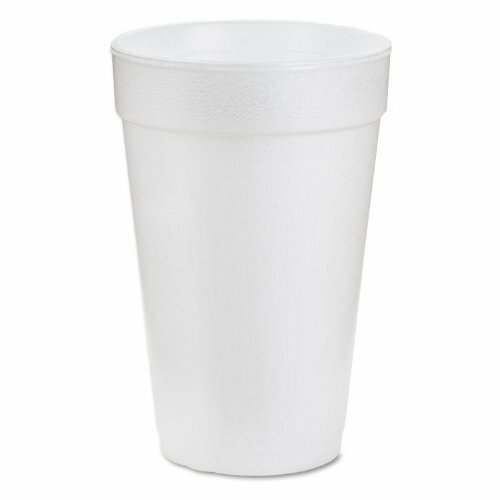 Available in 4 to 12 ounce sizes, small drink cups are ideal for coffee, cappuccino, hot chocolate, hot cider, juice, or soda. Insulated foam keeps beverages at proper serving temperature on the inside and keeps hands comfortable on the outside. Good for hot and cold beverages. One-piece construction reduces chance of leaks. 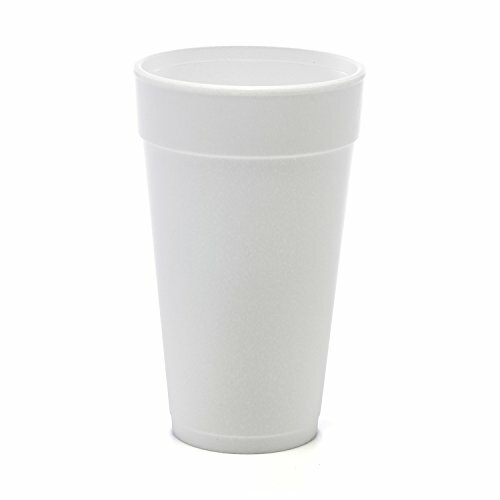 Cup Type: Hot/Cold; Capacity (Volume): 16 oz; Material(s): Foam; Color(s): White. Dart 8J8, 8 Oz. White Foam Cup with White Lift'n'Lock Plastic Cup Lid, Customizable Disposable Hot and Cold Drink Beverage Tea Coffee Cups equally fits for serving both hot and cold beverages. Produced from high quality insulated foam plastic, such cup is comfortable to hold in hands and at the same time it ensures an optimal serving temperature for a drink. The visual fill line simplifies its handling. The reliable one-piece construction and space-saving design make merchandising and storage simple and easy. Coffee, cappuccino, tea, hot chocolate, juice, soda, shake, smoothie - let your customers enjoy a wide variety of beverages at your foodservice establishment. Great choice for street food vendors, take out service, catering, outdoor parties, cafes or restaurants. 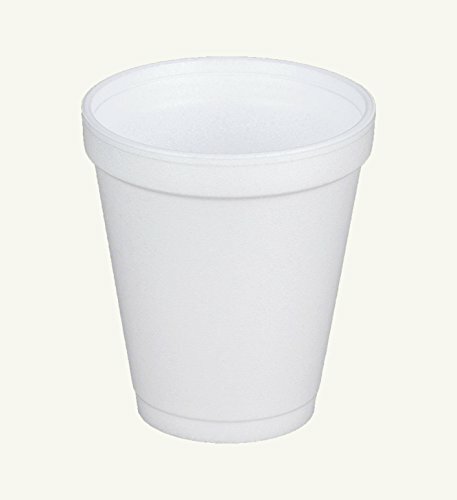 Maintains beverages at their optimal temperature longer with Dart insulated foam cups. Not only do Dart foam cups keep beverages at their proper serving temperature on the inside, they keep hands comfortable on the outside. Hot or cold, insulated foam delivers drinks the way they were meant to be. Ideal for coffee, Cappuccino, iced tea, Milk shakes, smoothies and soft drinks. Dart 32TJ32, 32 Oz. 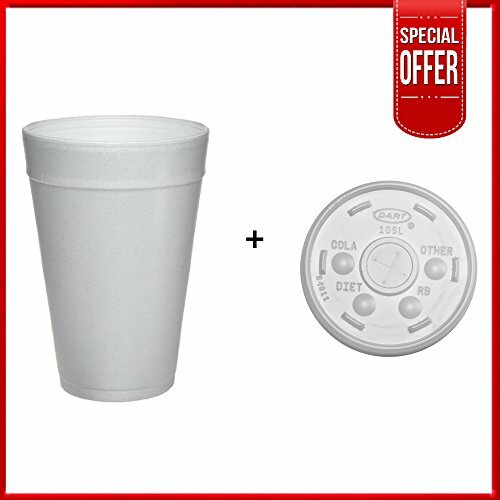 Customizable White Foam Plastic Cold And Hot Beverage Cup with Translucent Vented Plastic Lid, Disposable Take Out Drink Cups with Matching Covers equally fit for serving both hot and cold beverages. Produced from high-quality insulated foam plastic, such cup is comfortable to hold in hands and at the same time it ensures an optimal serving temperature for any dish or drink. The reliable one-piece construction and space-saving design make merchandising and storage simple and easy. The translucent lid is made of reliable plastic and has a perforation to let the excess steam from hot stews, soups, drinks, coffee and other dishes out. Hot chocolate, coffee, tea or soda - let your customers enjoy a wide variety of treats at your foodservice establishment. 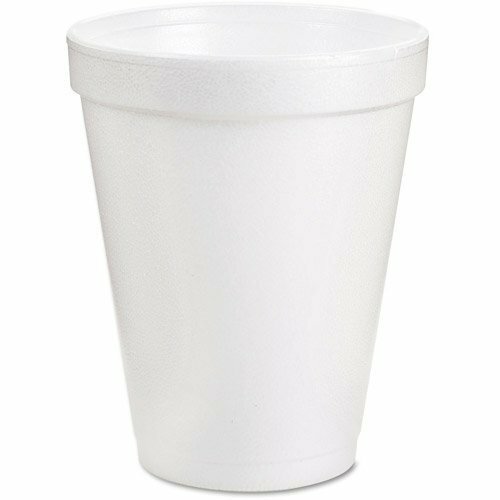 Made of Styrofoam, these cups have one-piece molded construction and a small space-saving design. 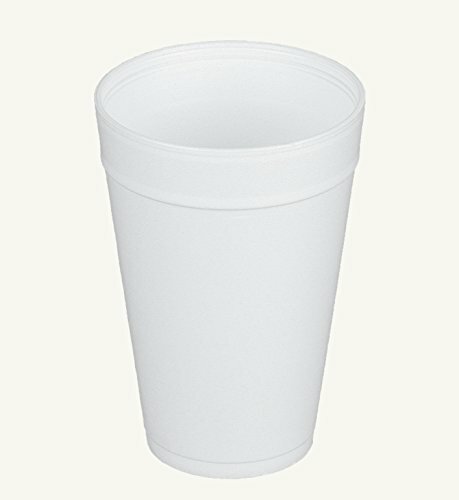 These white DART foam cups can hold hot or cold beverages and will keep drinks at its proper serving temperature longer. These DART cups come in a package of 1000. The DART drink 8 oz. foam cups are 3 in diameter. DART drink 8 oz. foam cups: Made of Styrofoam 8 oz. capacity one-piece molded construction and a small space-saving design can hold hot or cold beverages and will keep drinks at its proper serving temperature longer package of 1000 3 in diameter. 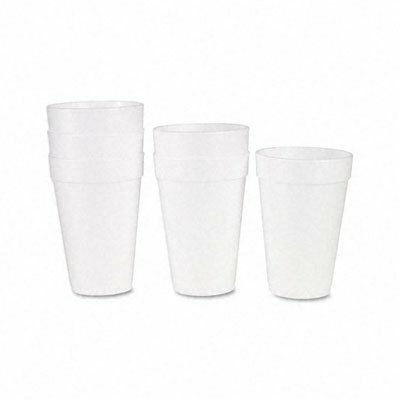 Maintain beverages at their optimal temperature longer with Dart insulated foam cups. Not only do Dart foam cups keep beverages at their proper serving temperature on the inside, they keep hands comfortable on the outside. Hot or cold, insulated foam delivers drinks the way they were meant to be. Available in 14 to 44 ounce sizes, big drink cups are ideal for coffee, cappuccino, iced tea, milk shakes, smoothies and soft drinks. Dart 32TJ32, 32 Oz. Customizable White Foam Plastic Cold And Hot Beverage Cup with Translucent Straw Slotted Lid, Disposable Take Out Drink Cups with Matching Covers equally fit for serving both hot and cold beverages. Produced from high quality insulated foam plastic, such cup is comfortable to hold in hands and at the same time it ensures an optimal serving temperature for any dish or drink. The reliable one-piece construction and space-saving design make merchandising and storage simple and easy. Come with translucent lids that allow easily identify the beverage in your cup, while the straw slot provides enough space for your straw. Soft drinks, iced coffee, tea or soda - let your customers enjoy a wide variety of treats at your foodservice establishment. Insulated foam keeps beverages at proper serving temperature on the inside and keeps hands comfortable on the outside. Good for hot and cold beverages. One-piece construction reduces chance of leaks. Cup type: hot; capacity (volume): 16 oz. ; material(s): foam; color(s): white. 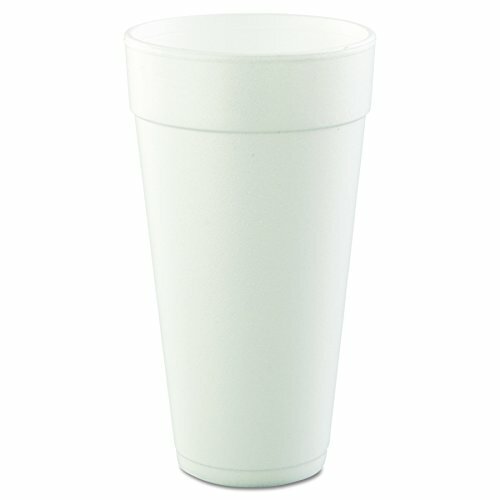 Compare prices on Dart Big Drink Foam Cup at ShopPlanetUp.com – use promo codes and coupons for best offers and deals. We work hard to get you amazing deals and collect all available offers online and represent it in one place for the customers. Now our visitors can leverage benefits of big brands and heavy discounts available for that day and for famous brands.